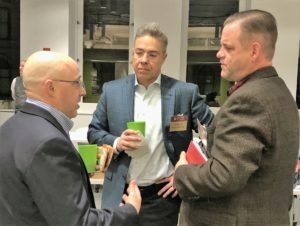 On November 28, BCEEAN hosted an informal networking night at the Massachusetts Clean Energy Center (MassCEC) in downtown Boston. MassCEC is a state economic development agency which is dedicated to the growth of the clean energy sector across the Commonwealth. MassCEC spurs job creation, delivers statewide environmental benefits, and works to secure long-term economic growth for the people of Massachusetts. 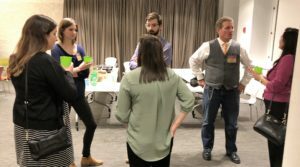 Members of BCEEAN had a great time learning all about MassCEC and networking with their fellow BC alumni. We hope to see you at the next BCEEAN event!